President Obama is suffering from the right-of-publicity blues again. And now maybe we understand why he wants an intellectual property anti-counterfeiting lawyer on the Supreme Court — this could rise to the level of an international incident already, Jack! 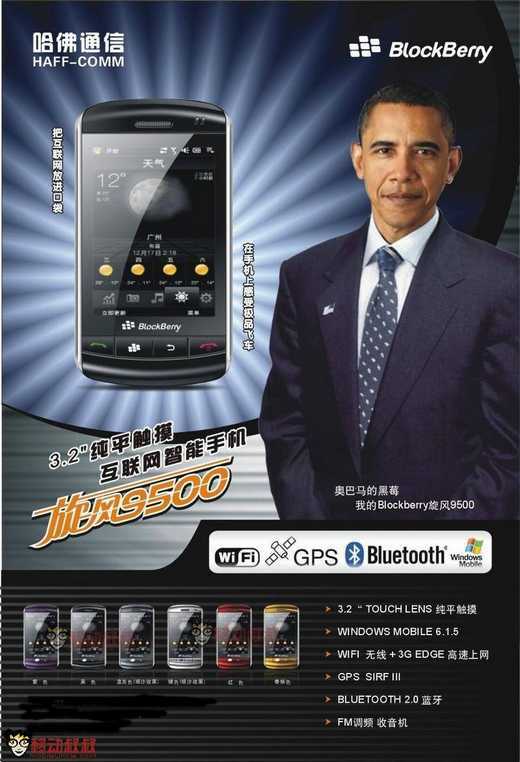 We all know Obama uses Blackberry phone, and right now the China shanzhai phone maker haff-comm is using this information to promote their new shanzhai phone blockberry 9500 and has Obama’s figure appeared in this phone’s poster with a slogan “Obama have Blackberry, I have blockberry”. 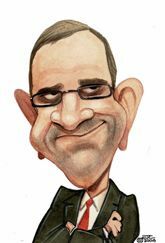 sounds pretty funny, but we don’t know whether Obama have got paid as the “spokesman”. Probably not, after all blockberry has a little difference with Blackberry. Yeah, probably not. Have got paid, that is. This is the first time I have really felt as if I were publishing spam as a post. Which is not fair. I think Cloned in China’s English is more than a few notches above my Mandarin. But I just keep wanted to see what they charge for all the highest quality online prescriptions… direct to my door! And, yeah, “BlackBerry” (RIM, that is) probably does indeed have a little “difference” with “BlockBerry” (“Haff-Comm,” that is).